Underrated band from Düsseldorf who had a real hit with ‘Radio’ and were wrongly packed in the NDW drawer in my opinion and after two successful and one less album, the band split in 1983. Tobias learned drumming in 1978 as a founding member of KFC. When in January 1981 the first record Letzte Hoffnung was out it came to a conflict with Tommi Stumpff. Both left and founded Nichts with Andrea (vocals) and Chris (bass) and they recorded a demo which unleashed positive reactions so the independent label Schallmauer Records released their first record Made In Eile. The song radio was particularly noticeable due to its earwig quality, so that Chris played it to the Bananas director Rolf Spinrads. This was enthusiastic and invited the band to record a video for the broadcast of 8 September 1981. Since it was clear that radio had the potential to a hit, the band and Schallmauer Records decided to decouple the song in time for the show with the major label CBS Records as a single. The Bananas broadcast made Nichts known nationwide and after seven months, 70.000 copies had already been sold, although due to poor distribution, the plate was difficult to obtain. 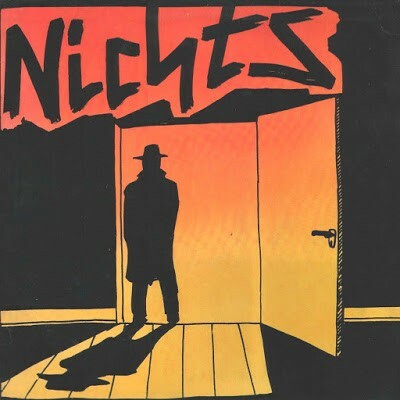 Nichts went on a tour in Germany and returned to the studio to record their second album Tango 2000, they had offers from five major labels, which were played against each other, the contract finally won WEA Records in Hamburg, Schallmauer was involved as a production company in the contract. Andrea and Tobias decided to continue the band with two new members: Stephen, former guitarist of the Bochum band Bertha And Friends and Peter on bass. In the usual rapid pace a new album Aus dem Jenseits were recorde and released in January 1983. The band managed to recapture the Nichts sound despite the absence of Clauss’ incisive guitar playing with the new members, but the album failed to match the band’s great successes. A booked three-week tour of Germany had to be canceled due to an injury Brinks. The band broke up afterwards. What remains: catchy songs that still sound fresh and charming and remember, ten beers are sometimes too much.